A fireplace cabinet allows the unit to be mounted externally from the wall, giving the unit more prominence and eliminating the need for a wall cavity to be framed. A light kit can be added to illuminate the fireplace for an extra decorative accent. This Napoleon Torch Gas Fireplace 12-Inch Through Wall Venting Kit provides everything you need to vent your Torch Gas Fireplace through any wall. The kit even includes a convenient terminal. This Napoleon 5-Foot Venting Kit for Torch Gas Fireplaces provides a convenient way for you to get the additional venting you need for your gas fireplace. This 10-Foot Venting Kit for Torch Gas Fireplaces provides a convenient way for you to get the additional venting you need for your gas fireplace. Allow this Napoleon 3-Inch x 5-Inch Coupler Kit for Torch Gas Fireplaces to help you make the most of your gas fireplace. 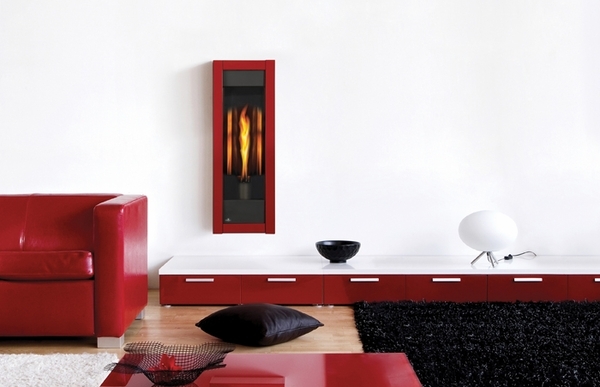 Searching for a way to make your Torch Gas Fireplace even more convenient? Then you need a Napoleon Torch Gas Fireplace Wall Terminal. This Napoleon Torch Gas Fireplace Roof Vent Termination Kit provides everything you need to terminate a through-roof installation of Napoleon Torch Gas Fireplace. Homeowners often rely on this Napoleon 3 Inch x 5 Inch Vent Pipe Shield to add a degree of security and safety to the operation of a Napoleon Torch direct vent gas fireplace. The appliance is safe on its own, but the shield helps protect vent pipes from the heat that the appliance produces in the course of normal operation. Another innovative product from Napoleon is ready for you to install in areas you might never have considered placing a glowing fire. You can use this fire with peace of mind since it has a unique gas control system which automatically shuts off the gas supply in an emergency. 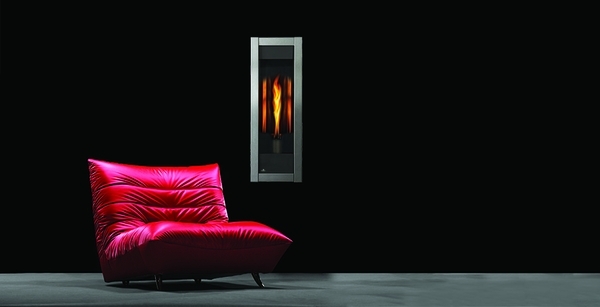 Its doors allow you to enjoy the fire through the heat resistant ceramic glass. Whether you are building new or renovating an older room, this ultra-modern fireplace is designed to fit in unusual spots such as bathrooms, bedrooms, and even entry ways. Will this unit work if the power is out? Yes, though this model does utilize an electronic ignition, there is a battery back-up to provide ignition in the event of a power outage. can the torch be installed in a corner and can it also be vented out the corner wall outside? Yes, this unit can be installed in a corner with an exterior wall behind, for which we do also sell the appropriate rear vent kit. What are the overall dimensions of the optional cabinet? I apologize for the delay in information. 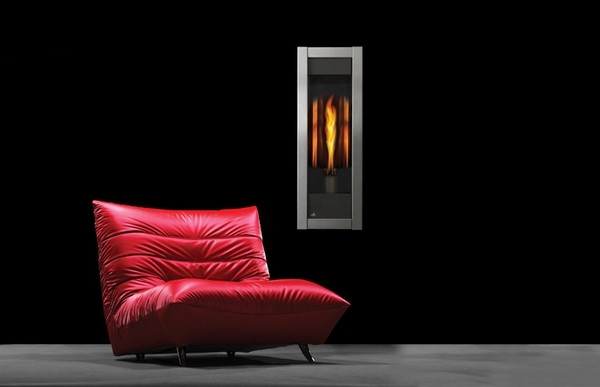 Per the manufacturer, the dimensions are: Outside Dimensions: 49.688"H X 14.922"W. Inner Dimensions: 35.357"H X 11.968"W.
what are the dimensions of this heater? This fireplace measures 12" wide, 43 3/4" tall and 5 1/2" deep. You can see an illustrated diagram of these dimensions and more on page 5 of the owner's manual. This unit weighs 40 lbs. What is the minimum space required for this fireplace? This fireplace has required minimum framing dimensions of 14.5" wide, 44 1/4" high and 7" deep. You can see the illustrated framing specs on page 21 of the owner's manual. Can this accept a remote control or wall switch? 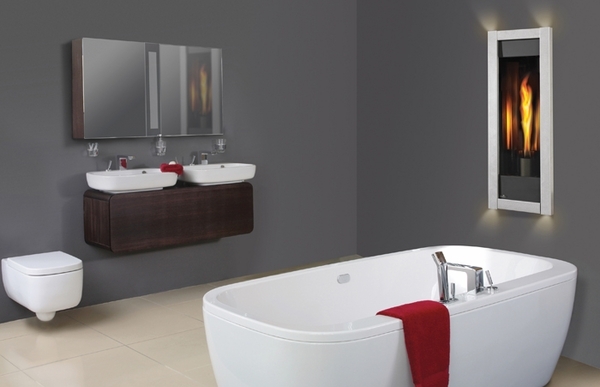 The GT8 can only utilize the pair of on/off controls that it is already equipped with. Due to the non-millivolt gas valve that is used, it cannot be made to use a remote or wall switch.